as traveling ambassadors, Dan's mom, eliska jezkova, and stepdad, larry hawthorne, pay homage to dan and his dream. Dan’s parents have traveled literally around the world to various LEGO-themed events and businesses. Foremost on their list of visits has been the annual Brickworld in Chicago in June and Brickvention each January in Melbourne, Australia. 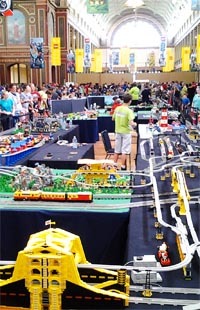 Additionally, the two have traveled to a variety of BrickLink-inspired or hosted events, including trips to Cologne, and Mannheim Germany, and Rotterdam, Holland. Each trip is taken to spread word of BrickLink and to inform fellow AFOLs of the people behind the website. Often it's a collaborative meeting and a sharing of memories and experiences with those who are devoted "BrickLinkers". Other times it is an opportunity to let other LEGO fans, young and old, know about a wonderful online resource that awaits them. 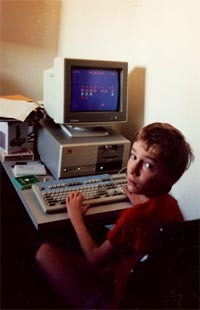 In every instance, it's an opportunity to honor the memory of Dan Jezek and pay tribute to his founding of BrickLink. 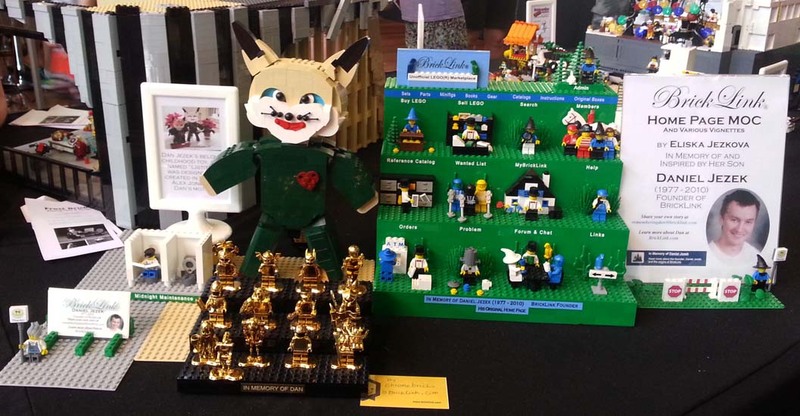 A major activity during these travels is participation in charity auctions that raise money to help needy kids and also serve to advance interest in LEGO, as a hobby, an avocation and a business. Gathered here are a few reminiscences of those tribute visits over the past several years. At various LEGO conventions, Eliska displays her MOC of the original BrickLink front page. Also in the display is a collection of memorial gold-plated minifigs in honor of Dan, courtesy of Chrome Bricks (a German store and one of BrickLink's largest -- one of more than 10.000 stores and counting). 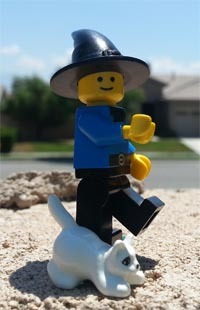 The LEGO MOC of a fox, called Listitina, is a replica of Dan's favorite toy as a child (credit Alex Jones, designer). 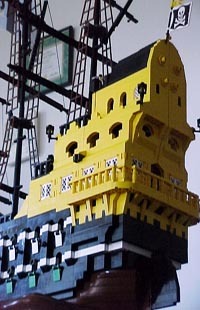 2015 marked the 15th anniversary of BrickLink.com. This display was part of Brickworld that year in commemoration of the exact date, June 19. 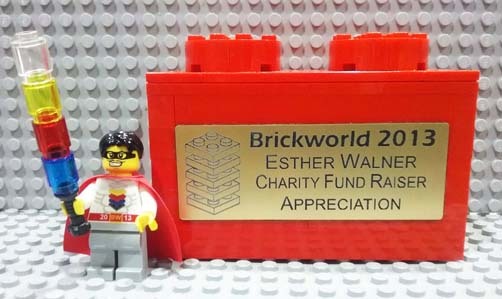 Eliska was named recipient of the annual Esther Walner Charity Appreciation Award at Brickworld 2013 for her support of the annual auction to help children in need.